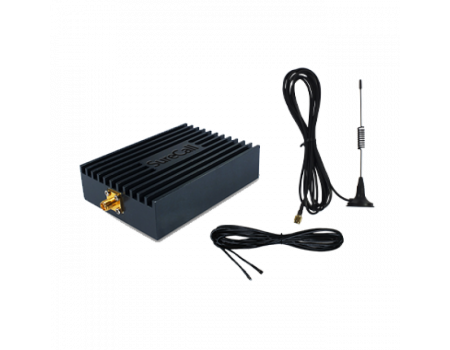 The SureCall 4G LTE M2M Direct-Connect Signal Booster will boost the 4G LTE signal from either AT&T or Verizon, depending on the kit that you choose. It will not boost the 2G or 3G networks from any carrier. This kit is ideal if you only need to boost 4G LTE for either AT&T or Verizon to a machine that needs better signal fed directly into it, like an ATM, vending machine, security system, remote monitoring, etc. Boost the 4G LTE network from AT&T directly to a device. Boost the 4G LTE network from Verizon directly to a device. 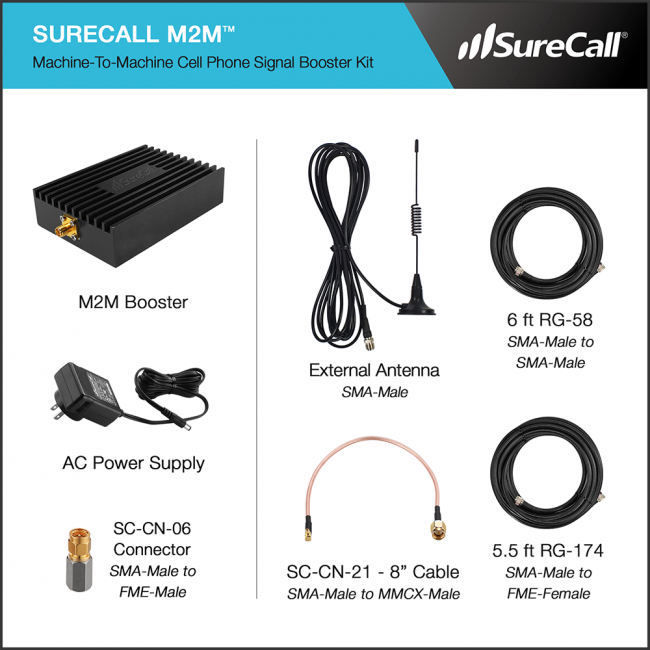 The SureCall 4G LTE M2M kit is designed to receive a 4G LTE signal from either AT&T or Verizon, amplify it, and pass it directly to a device or machine that needs a better signal. An M2M signal booster connects directly to the device or machine that it is providing boosted signal to, so there is no coverage area created with this type of booster. 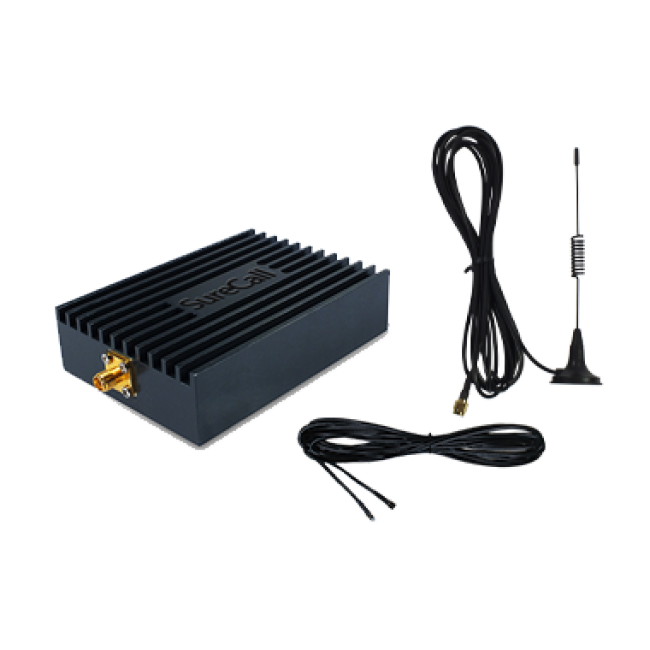 The SureCall 4G LTE M2M kit Signal Booster Kit supports 4G LTE networks from either AT&T or Verizon in the United States and Canada. Please Note: This signal booster kit will not work for any European, Asian, and African countries because the frequencies used there are different than those boosted by this equipment.